The deadline for filing T4, T4A, T5 and T5018 slips electronically with the Canada Revenue Agency is coming up! NewViews lets you do this quickly and easily. 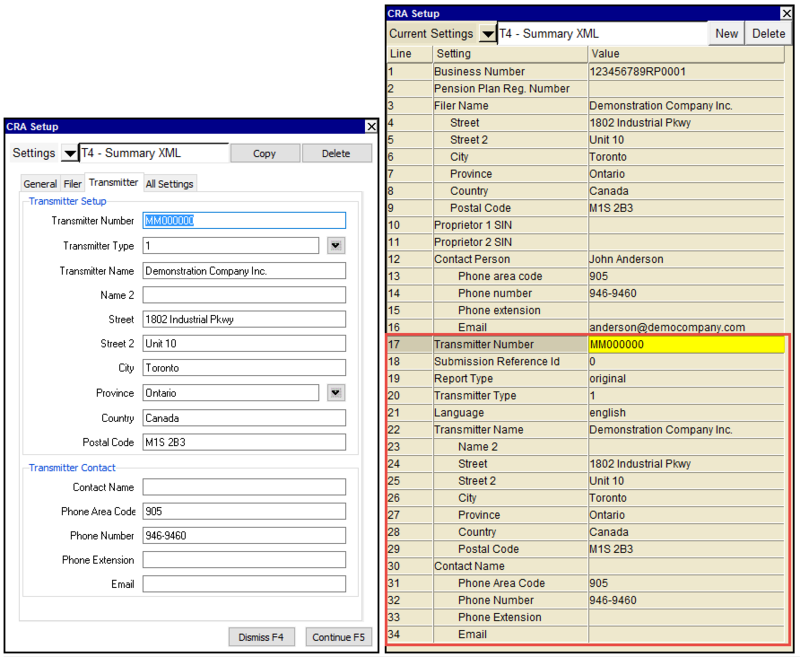 The Tools>CRA Setup command provides a table for entering your Canada Revenue Agency settings. These settings are used for both printing and submitting T4, T4A, T5 and T5018 information slips. Fill in fields 17 to 32 on the CRA Setup prompt. See the XML file table below for detailed instructions. 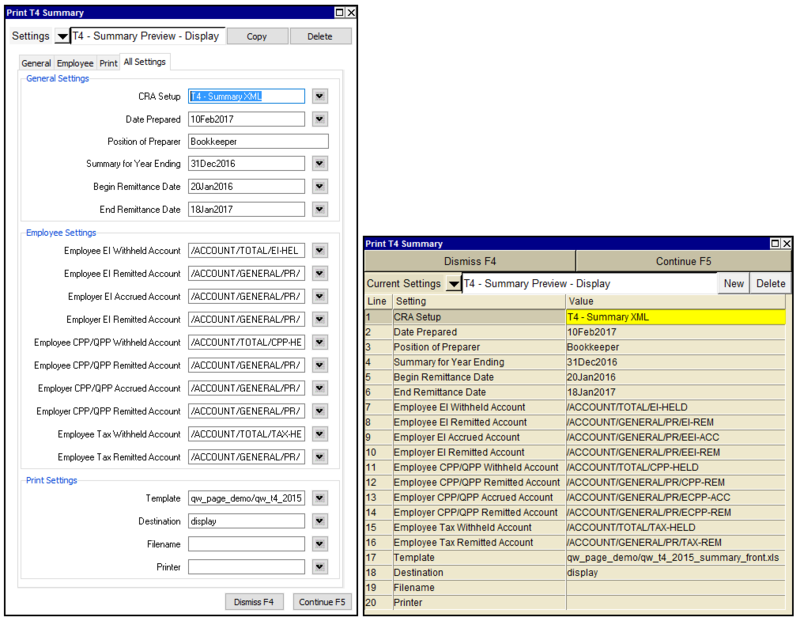 In field 1 of the Print T4 Summary prompt, choose the CRA Setup saved in the above step. A Web access code (WAC) is a personalized code that the Canada Revenue Agency (CRA) mails to you. You need a WAC with other identifiers, such as a Business Number or account number, to access the secure areas of the CRA’s Internet filing Web pages. Where do you find your Web access code? It appears above the Business Number on your personalized T4 Summary or on the Web Access Code for Electronic Filing letter that you received. The personalized summary and letter also shows your account number. If you do not have a Web access code, call the CRA Help Desk at 1-877-322-7849. What does a Web access code consist of? A WAC consists of six characters. Two of the characters are letters and four are numbers. The letters can be identified with an asterisk below them. The WAC is case sensitive, which means you must enter it exactly as it appears on your personalized T4 Summary, NR4 Summary, or Web Access Code for Electronic Filing letter. If you do not enter the code correctly, you will not be able to access the secure areas of the Internet filing Web site.